Mexican punk-inspired garage rock band, Le Butcherettes dress in 1950s style dresses smeared in blood when performing live. The group aims to play on the idea of women being domestic slaves after the conclusion of World War II, when the ideal of the American Dream was at its height. 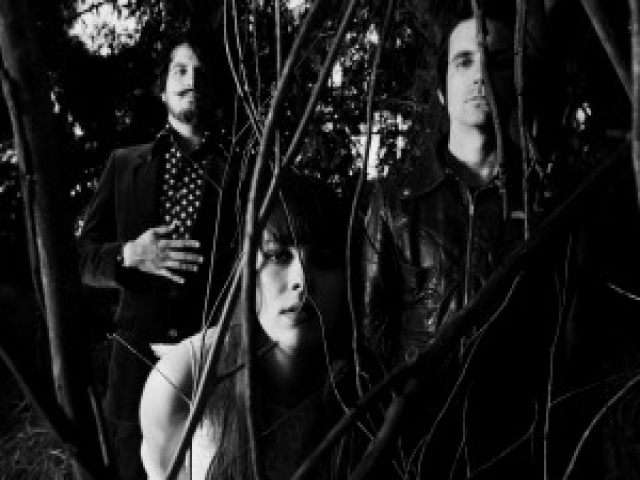 Helmed by lead singer/songwriter Teresa Suarez, Le Butcherettes was founded in 2007 and has been a notable fixture on the Mexico music scene--even being offered to open up for notable bands like the Yeah Yeah Yeahs and the Dead Weather during tour stops in Le Butcherettes' home country.